While we’ve seen our fair share of clocks in the past, the Clapperboard Clock will definitely make you sit up and take notice (along with just about anybody who walks into your home). 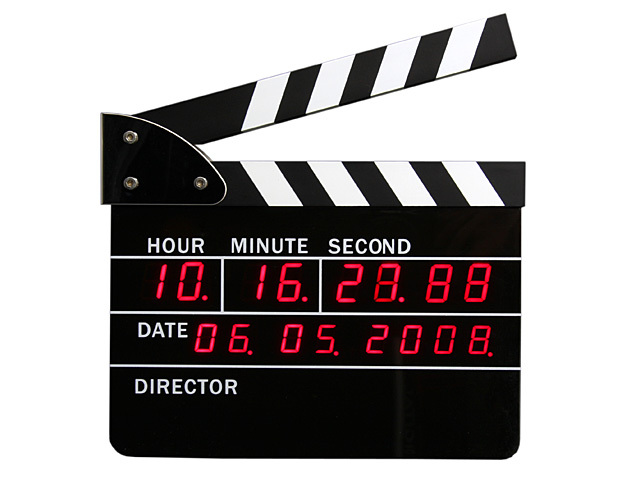 It tells the time in its clapperboard form factor, displaying Hour, Minute, Second, Tenth Second, Date, Month and Year at a glance. It also features a built-in alarm clock function, and the only way to shut off the alarm when it rings would be to press the clapperboard. I would’ve preferred something more interactive, like shouting “Cut!”. It will retail for $77 including shipping and handling.